This design for an amphibian airplane by Percival H. Spencer was assigned to the Republic Aviation Corporation of Delaware. The patent was awarded in 1950. This ornamental design for a toy locomotive was patented by Louis Marx in 1935. Robert Wendell Miller was awarded a design patent in 1950 for this amphibian airplane. You can see the landing gear protracted on the side of the plane. This is another view of a channel-wing airplane design by aeronautical designer William R. Custer. The earlier posting can be seen here. Custer is know for his work developing 'channel-wing' airplanes, such as this one. This patent was awarded in 1956. William A. Wolleat was received a patent in 1959 for this mono-wing airplane design. Another view of the aircraft can be seen in an earlier post. William A. Wolleat was awarded a patent in 1959 for this mono-wing airplane design. Update: Another view of the airplane can be seen in a later post. Robert E. Foote was awarded a patent for this aircraft design in 1967. This design is for a Fluid Sustained and Fluid Propelled Aircraft. "This invention pertains to wingless aircraft or aerodynes in which propellers are enclosed within the air ducts and particularly to aircraft having a plurality of air ducts." The patent was issued in December, 1959 to Alexander M. Lippisch for the Collins Radio Company. This is another Earl J. W. Ragsdale design is for the front-end construction of the Pioneer Zephyr railroad train. The train consisted of railroad cars permanently articulated together. It was built in 1934. 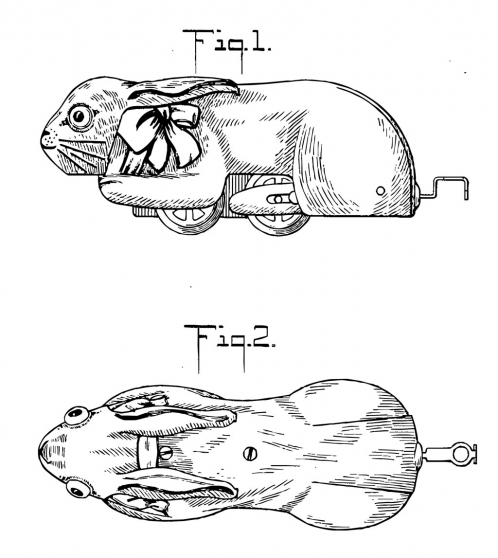 This patent was issued in 1941. See related patent.